The Wisteria catalog is a home decor catalog that's filled with contemporary and vintage furniture, accessories, textiles, gifts, and items for your garden. You'll fall in love with the beautiful furnishings and gifts inside the Wisteria catalog which is free for you to request. You can get a Wisteria catalog mailed to you by visiting the Wisteria website. Fill out the Wisteria catalog request form with your name, mailing address, phone number, and email address. Click the Continue button at the bottom of the form to submit your Wisteria catalog request. While you're waiting for your Wisteria catalog to arrive in the mail you can view the online Wisteria catalog. The Wisteria catalog is only mailed to those who live in the U.S. 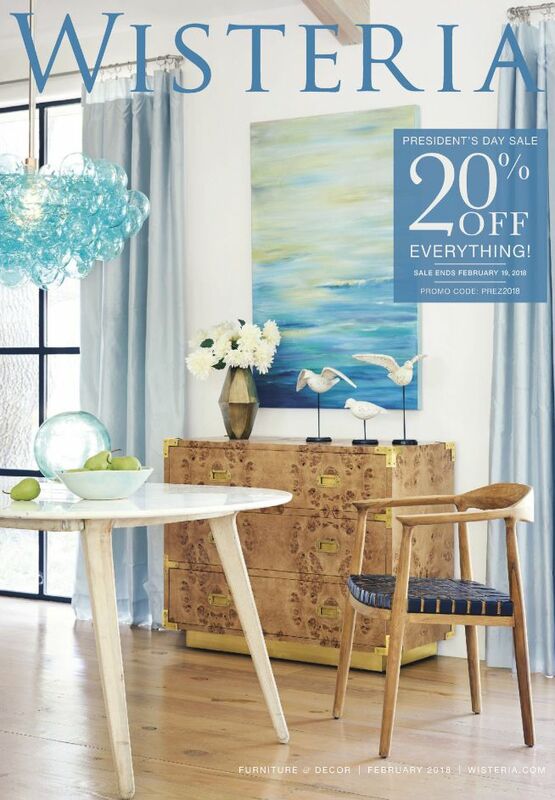 If you like the Wisteria catalog, you'll also like a catalog from Frontgate.